Andy Savva – The Garage Inspector – is back on PMM ’s roster for 2019, sharing his business advice and wisdom. 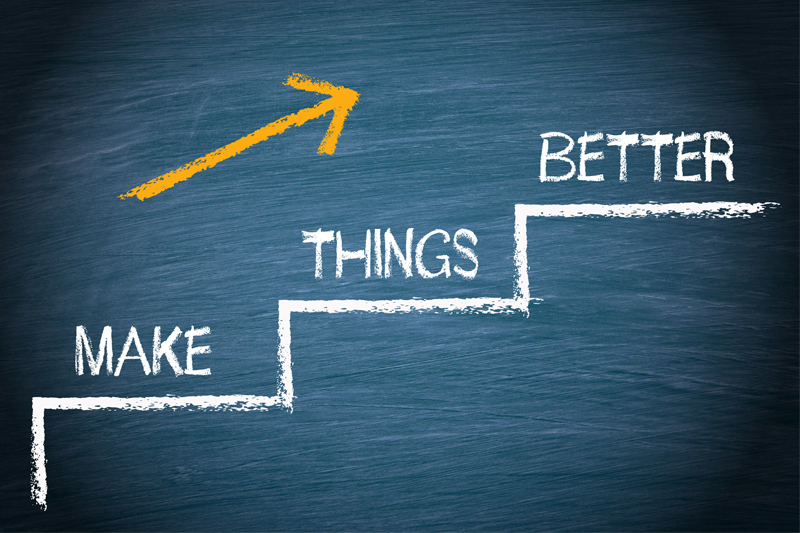 In his first article of the year, Andy discusses the importance of making continual improvements to your business, no matter how small. To thrive in today’s competitive aftersales sector, the need to operate more efficiently, effectively and profitably has never been more apparent. Developing problem solvers, increasing productivity, improving quality, and reducing waste are essential factors if you are to succeed. already thin margins, while changing competition regulations (in Europe) bring an uncertain mix of threats and opportunities. Due to increasing product quality and reliability, today’s cars need fewer services (routine maintenance visits) and require less service time at each visit. This means that, to maintain workshop viability, garages have to service and repair more cars each day. This has knock-on effects, such as the need for larger car parks and more admin staff to handle the extra number of jobs. To tackle these challenges, you need to adopt a continuous improvement strategy. There are several such strategies and methods to achieve these goals, but I want to focus on two of the most commonly adopted continuous improvement methodologies that I used in my previous business, Brunswick Garage, and continually use today to help other garage businesses. In the plan stage you establish what you want to accomplish and also establish the metrics and measurement system that can help you verify whether you have been able to accomplish what you set out for. In the do stage you carry out or ‘do’ what you have planned. This is the step where the actual work happens. In the check phase you compare using the measurement system that you have put in place, to determine how you are progressing towards meeting your goal, and analyse any deviations. 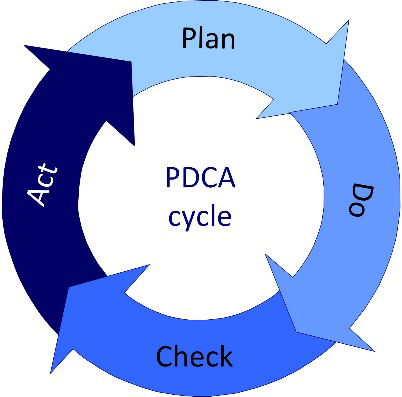 In the act phase deviations are analysed and solutions implemented to ensure they do not happen again in the future and the gains are standardised. This is also the phase where a debrief or lessons learned exercise is carried out. Kaizen is a term that was coined by Masaki Imai, who founded the Kaizen Institute. The Kaizen Institute still holds the copyright to the term ‘Kaizen’ and ‘Gemba Kaizen’. Kaizen is an everyday Japanese word often translated into English as ‘improvement’. Kaizen is actually made up from two words, the first being ‘Kai’ or to ‘change continuously’ and the second, ‘zen’ meaning ‘to improve’ or ‘to get better’. 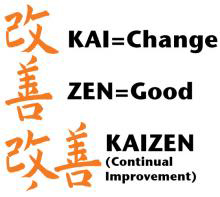 Therefore, a more complete understanding of the word Kaizen would be to continually make changes to get better. ‘Gemba’, on the other hand, means ‘real place’ – the place where real action occurs. Japanese use the word Gemba in their daily speech. Whenever an earthquake occurs in Japan, the TV reporters at the scene refer to themselves as ‘reporting from the Gemba’. So, for our purposes, we would classify our reception, workshop, carparks etc. as our Gembas. Kaizen focuses on small incremental changes that, over time, provided my garage with a sustainable means of delivering improvement. I have constantly stated you must look to improve 100 things by 1% rather than improve one thing by 100%. Though it is true that a Kaizen event can be completed in a relatively short period of time, with some exercises taking little more than a few days, its strength lies in setting in place a method for continually looking at and improving what we do. For us at Brunswick it became a permanent feature of our company’s culture – ‘the way we do things around here’. 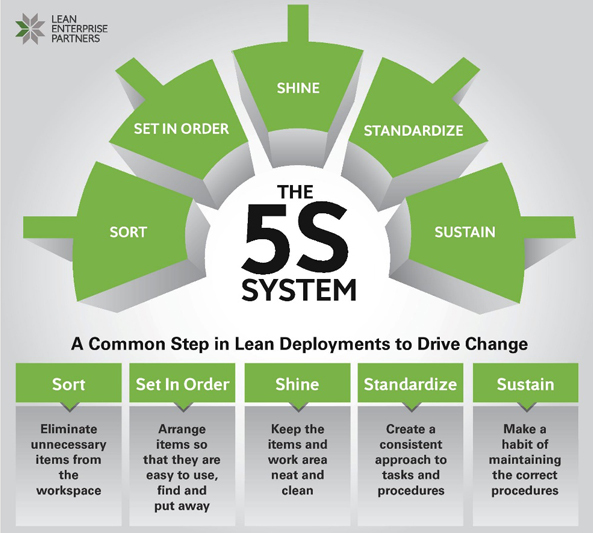 Kaizen has also become an umbrella term for a number of tools and techniques that can be used to implement a continuous improvement program, with 5S being one such technique, which I’ve often spoken about in my presentations to garages. Others include ‘just-in-time’, also referred to as JIT or ‘lean manufacturing’, and ‘quality circles’. Applying ‘lean’ thinking is simple in principle. Look at the processes in your business from your customer’s point of view, understand what value looks like from the customer’s point of view, and focus hard on making sure you deliver this value right first time, on time, every time. The other side of the coin: eliminate waste – all those activities that don’t create value for the customer. If you do this thoroughly, in a planned and disciplined way, you will be astonished at how many things you currently do – how many costs you currently incur – that don’t create any value for the customer. You’ll also be surprised at how many things you can do, often at very little or even zero cost, that significantly improve your customer’s experience of dealing with you so that you end up delivering better value at lower cost. Good luck in your change! For those readers who may not know Andy, he offers several business improvement services for garage businesses, including one day business training days in finance, marketing and customer excellence. These courses have been specifically written by Andy, and are delivered for independent garage owners, managers, technicians and reception staff. For more information, click here. Next : Is Your Business Ready for Making Tax Digital?